A briefing on the current situation in Mali. What has happened? The French government has embarked upon a unilateral military "intervention" in the west African country of Mali to halt the advance of Islamic militants - AQIM - who have taken control of over two-thirds of the Mali's northern region. The 750 French military personnel - soon to be increased to 2500 - have been mobilised after a "request" for help from the Malian government, and will provide military training, air and direct combat support to the Malian army. Why is France interested? Why have they acted alone? Mali ceased to be a French colony as far back as 1960, however its strategic importance to France remains significant today. Economy: Mali is thought to have a huge, untapped oil and gas wealth located mainly in its northern regions on the border with Mauritania and Algeria. France, Qatar and Algeria hold exploration rights on various sides of the border. Additionally, French companies also have other considerable financial interests in Algeria and Morocco. It is therefore well within the French economic interest to diminish the influence of Islamic militants in the region: AQIM already operate in a strip of land that runs not only across northern Mali, but also through Mauritania, southern Algeria, Niger, Burkina Faso and Chad. Any expansion of this activity - spurned on by a possible strengthening of AQIM in northern Mali - would very likely destabilise the region as a whole, and negatively affect the French economy.Immigration and Security: France's close proximity to Algeria - across the Mediterranean - further underlines the importance of stabilising the region. If the conflict in Mali does escalate, many refugees would almost certainly flee to Algeria, with the possibility that some would continue onward to France - (this was a major fear during the recent Libyan conflict). In addition, the close geographical proximity of France to the region further attests to the French strategic interest of containing or eradicating any fundamentalist Islamic organisations. Having banned the wearing of the burqa in 2011, France's relationship with Islamic communities is not one associated with absolute mutual trust. Who are the Islamic Militants? The militants in control of northern Mali are a group known as AQIM - or al-Qaeda In The Islamic Maghreb - a Salafist group drawn mainly from Algeria, Morocco and the Sahara region, which holds the overthrow of the Algerian government as one of its primary aims. 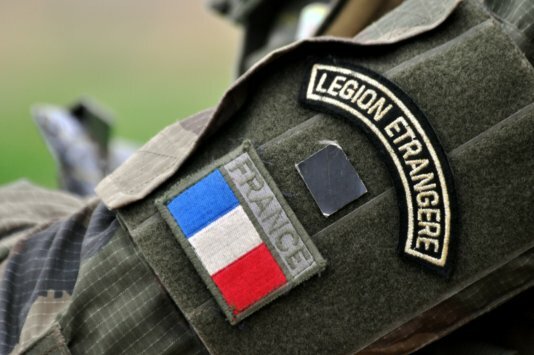 With declared intentions to attack French, American, Algerian and Spanish targets, the group is considered an official terrorist organisation by both the US and EU. AQIM has amassed hundreds of millions of US dollars through the payment of ransoms for the release of US and EU hostages, which they have used to finance their activities. Similarly, they have stolen building equipment from EU funded development projects, which has resulted in their being able to lay down the effective infrastructure that has helped them resist initial French advances. Also, AQIM were not originally responsible for taking control of northern Mali from the central government. Instead the mainly secularist Tuareg people gained control of the region after a military coup last January overthrew the corruption riddled Malian government. AQIM soon moved in, and realising them to be a superior military force, the Tuaregs ceded control. The Tuaregs are an ethnic group indigenous to northern Mali and other Saharan areas - a community scattered across international borders by the historical, colonial carving of Africa into regions that didn't take ethnic or tribal realities into account. Despite living on land rich in oil and gas reserves, they are among the most disadvantaged people in the world. Until AQIM moved in and took over, the Tuaregs had hoped to form a separate, self-determining break-away country of 'Northern Mali' after the recent model of South Sudan, in order to better represent their otherwise ignored ethnic, politic and economic interests. Why hasn't the international community done something about this before now? US Army Gen. Carter Ham told the Army Times back in October 2012, that any intervention in the region would likely not be effective, and might set back efforts in the region. Instead, Gen. Ham first advocated negotiation as a starting point, after which an African led UN force - such as was recently used to oust the Islamist al-Shabaab from Somalia - would be preferable to committing US troops to any ground operations. Similarly, defence representatives from France, Spain, Poland, Italy and Germany - a military policy grouping known as the Weimar Initiative - met last October to discuss the encroachment of Islamists deeper into Mali, and called upon the EU to send troops to train and support Mali's army. Despite broad agreement within the EU, this had not taken place in any significant form until France's unilateral intervention at the beginning of the week. Similarly, the Weimar Initiative secured a commitment from the Economic Community of West African States to send an additional 3500 African troops to aid the Malian government's efforts to secure the north of their country; again, this had not been initiated until this week, although African troops are now expected in the next few weeks. With so much at stake, it was within France's interests to act alone before AQIM gained the necessary and potentially irreversible momentum to take the Malian capital. Are there any humanitarian dangers? Medecins sans Frontieres have called upon all involved parties to respect the lives of civilians caught up in any conflict - having already received reports of civilian casualties. They report that refugees have already begun to arrive in Mauritania, and as the conflict continues they readily expect more. Before this conflict, MSF were already working to support hospitals in the region in a recent attempt to improve medical, surgical and nutritional standards in the area. The organisation fears that any worsening of the conflict will not only produce an overwhelming number of casualties, but will also reverse much of the recent work they have carried out to bolster the local health system. This, of course, is in addition to the humanitarian dangers faced by communities displaced by conflict. One of the rising stars in kora music is the Gambian Dawda Jobarteh. FAIRPLANET had a word with him about his new album and his evolution as a kora player. How a video of the national anthem posted on Youtube received a copyright strike. Sierra Leone released the "Sexual Offenses Act" (SOA), which shall protext women against sexual violence. But was that the right move? Africa is betting on a mega green wall to address terrorism and changes in weather, and the international community has been warming up to the idea. There is a new wave of Islamic financing across Africa spanning banking, financial services, bonds, tourism and the hospitality industry. After years of progress in the fight against HIV/AIDS, signs of new infections in sub-Saharan indicate a renewed increase. The self-declared state of Ambazonia, consisting of the Cameroon Anglophone, is calling for autonomy of the South from the rest of the country.